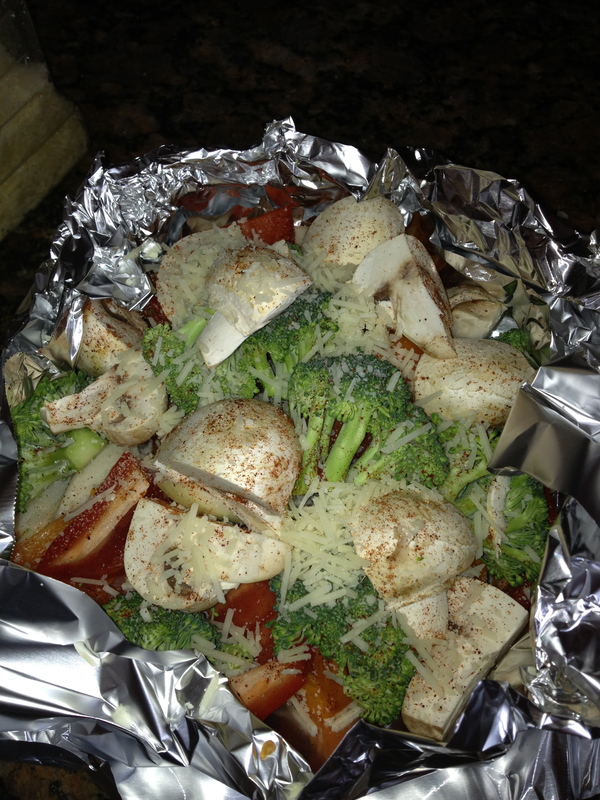 8:30 am class starts Tuesday-Push for 4 weeks….Veggie Idea! This week’s post is pretty short and sweet! Not much going on except running around trying to wrap up the end of the school year. One bonus to this crummy weather is that the students haven’t checked out completely yet because it still feels like early spring and nothing like summer! 5:15 AM class always loves newbies….not sure they can fit any more people in the back row though- unless you come early! I would love to see some new faces that want to give class a shot for four weeks! Think how great you’ll feel at that Fourth of July party knowing you’ve put in some time for yourself. Three days per week for the next four weeks is $75 for new clients!! Give it a shot!! VEGGIES ON THE GRILL: Here are some pictures of the veggies I made this week and brought to work for lunch! I made them on the grill. 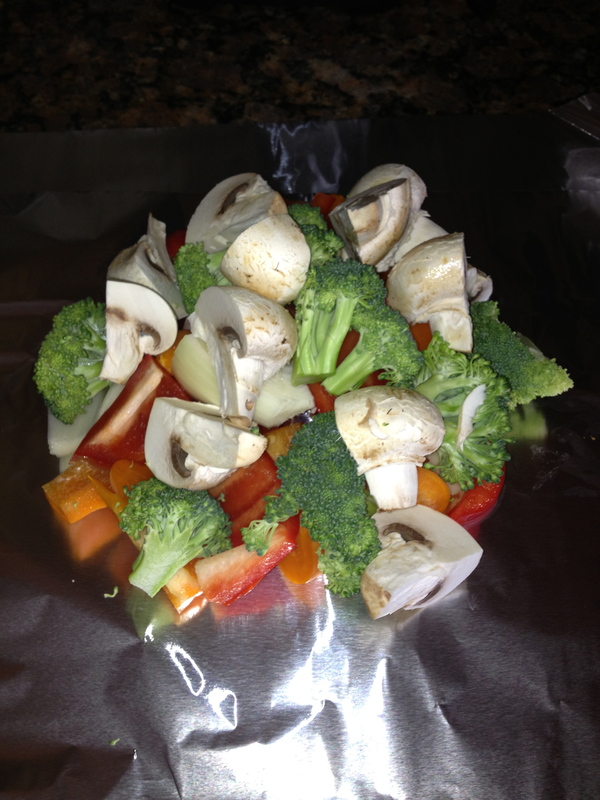 I cut up red peppers, yellow peppers, broccoli, onion, mushrooms, and tomatoes and put on tinfoil (you can use whatever veggies you have). I sprinkled some chili powder, garlic salt, and shredded parmesan cheese on top. 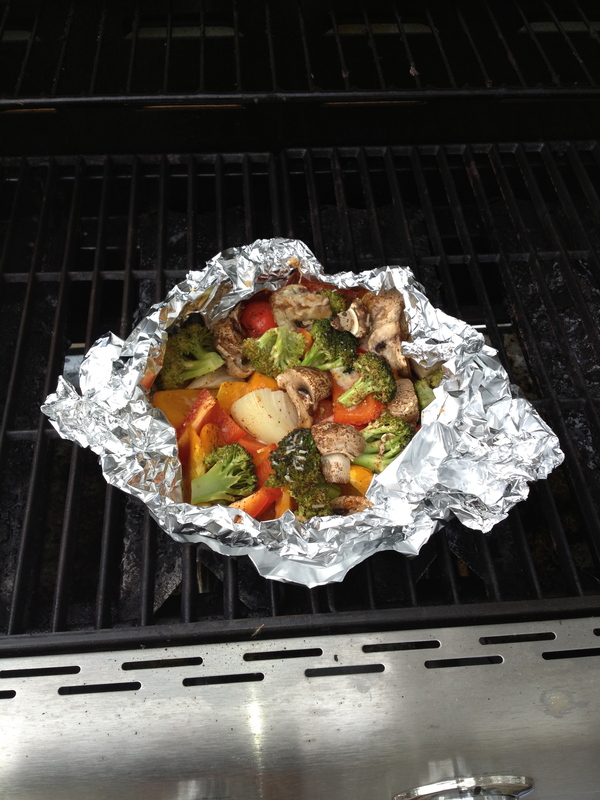 I covered the veggies with more tinfoil (leave a little opening) and put it on the grill for about 30 minutes. Delicious!! Fresh veggies cut into chunks. Add chili powder, garlic salt, and parmesan cheese! PUSHUPS THIS WEEK- Monday-45; Tuesday-50; Wednesday-55!! Try to get as many in as you can before you take a break!! Take a short break and do as many as you can again. Push yourselves, you’ll never know what you can do if you don’t push beyond that uncomfortable! ← SUMMER SESSION STARTS!! 200 SQUATS….DONE!! 100 PUSHUPS….